Saint Vincent Tournante – 2010 Edition! I have still been nursing sick children over here on my rock in Canada, while vicariously living through Lisa’s blog about her family’s French sabbatical. 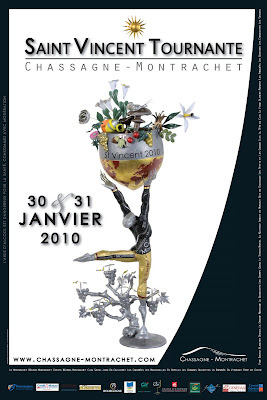 However, I would be very remiss if I didn’t holler the fact that the 2010 Saint Vincent Wine Festival is taking place next weekend (30th and 31st of Januray) in the lovely Burgundian village of Chassagne-Montrachet. Read about Villers‘ and Magny’s very own edition of this venerable Burgundian tradition here. Chassagne-Montrachet has done up a very informative website that can actually be read in English. 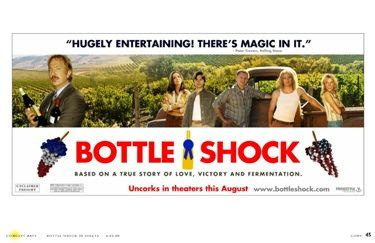 This entry was posted in Wine-Related Posts on January 25, 2010 by admin. 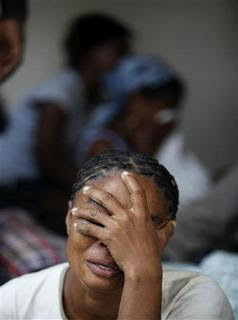 The horrible news from Haiti keeps flowing in, and makes most of us wonder (and it is one of my most firmly held beliefs that the huge majority of people are innately philanthropic) what we can do to help. So today I am going to highlight the work of Doctors Without Borders, or “Médecins Sans Frontières“ in French – a truly incredible organization that Franck and I have chosen as our charity of choice. As you can read here and here this organization can be found time and time again as one of the first to arrive in places devastated by natural disasters, wars, or political tyranny, and one of the last to leave. It goes without saying that they are already in Haiti, and they are also bringing in a massive inflatable operating theatre (as well as the volunteer medical personnel to staff it) within the next 24 hours. Several years ago, Franck and I researched different charities and found that Doctors Without Borders has one of the very lowest administration costs of any NGO. We set up a fixed monthly donation so that the organization can count on our money (even though it isn’t, at this point, very much) and be poised to get to places like Haiti and be of use when the situation is at its most critical. There are many wonderful aid organizations out there – The Red Cross being one that definitely springs to mind – and any help is a good thing. However, if you are considering different charitable donations at this point, do take a look at the work of Doctors Without Borders, and also consider a fixed, monthly donation instead (or better yet, as well as) a one-off. This entry was posted in Uncategorized on January 14, 2010 by admin. My brother in law Emmanuel-Marie finally sent me a photo of the buche he and his copine made at Christmas in Burgundy. I’m not a big one for New Year’s resolutions. Vowing to lose ten (or twenty) pounds or go to a boot camp every morning at 5:00am is the kind of Puritan self-punishment that my five years in France beat out of me for good. 10. Remind myself how lucky I am to be surrounded and loved by so many truly wonderful people.